The past few weeks have been busy: Amritsar, wonderful chunks of Rajasthan and elephants getting ready for bed. Then it was back to Delhi for a large helping of parties to celebrate a friend’s 40th birthday. All this traveling takes a toll on the appearance. 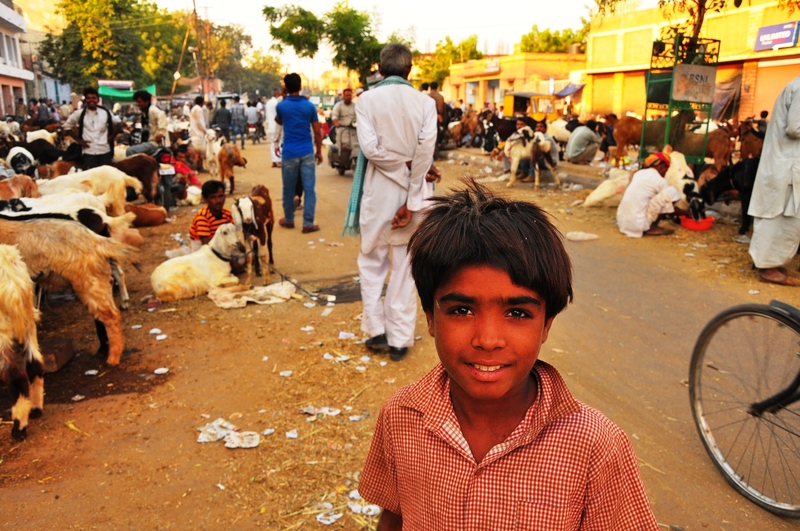 I was standing in what I will call Goat Street in Jodhpur taking some photos and something was yanking at my hair. I turned around to tick off the kid who was pulling it, but a goat was actually trying to eat it. So that gives you an indication of what it resembles. There were hundreds of goats in this boulevard (it ran up the side of a shopping plaza harboring a Cafe Coffee Day – I went for the beverages) and these men insisted I take pictures of a frankly rather ugly goat, so I did this to make them happy, and then they followed me down the street asking for money. ‘This is business,’ one said, or at least I think this is what he was trying to say. Employing the power of ‘just keep moving’, I walked off and I guess those dudes had to rethink that money-making scheme. Amritsar’s Golden Temple was memorable, as to be expected. You can read more about it here. 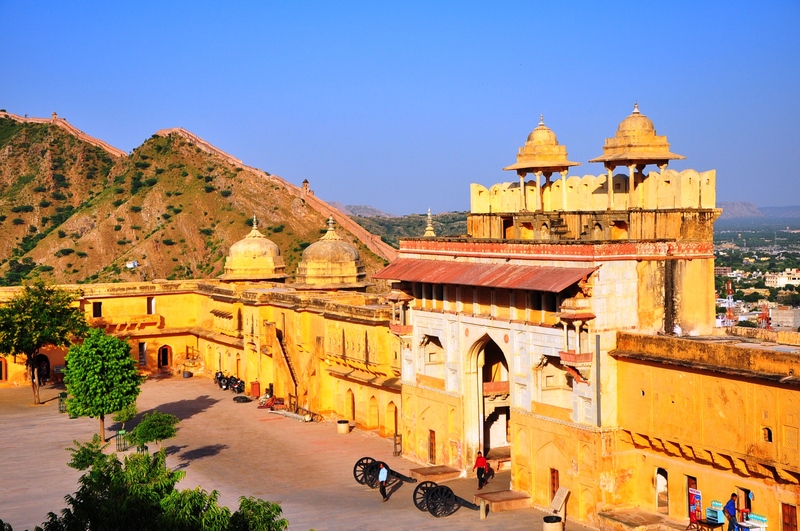 First stop in Rajasthan was Jaipur, the busy and congested capital. 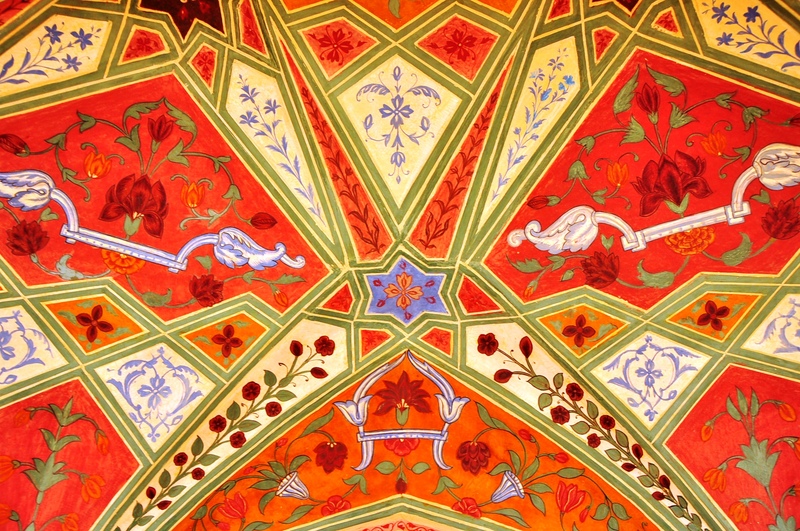 I arrived at the Pink City by overnight train from Amritsar. 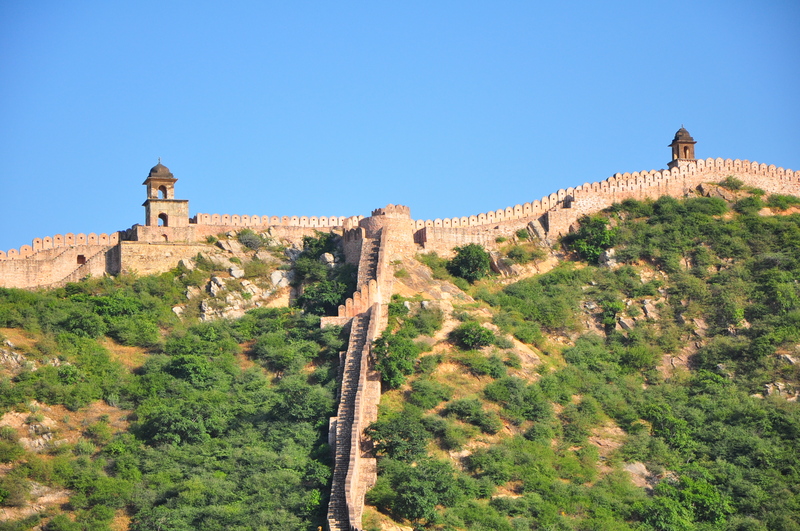 As a result of a CouchSurfer who had contacted me (he was going to pick me up until he discovered I had a bag; how perverse of me) I whizzed through the city and out past the lake palace and Amber Fort to Amer on the city outskirts. I was met by a photographer called Bharat who was detailed to look after me. He put me on his motorbike (with bags) and took me to a chai shop where he hangs out with his friends. Even over the course of one day I got to know that place well. 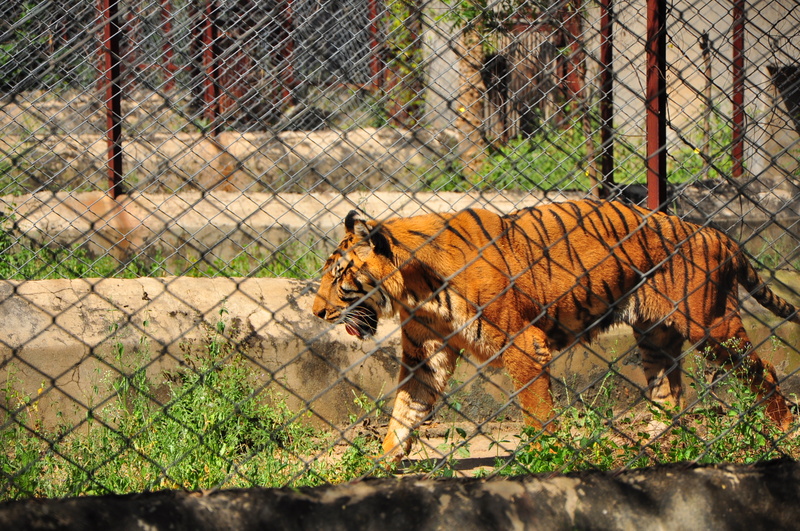 After chai he took me to the Nahargarh Rescue Centre where visitors can see tigers that had been abused in circuses leading a more peaceful if confined life in their enclosures. I don’t have much luck with wildlife, it’s always hibernating when I go to see it, but Bharat and I were biking up a dusty path and I heard a noise to my left. Glancing over I saw a cobra, an angry cobra rearing up with its hood extended – I guess we woke it up. The noise it made rearing got Bharat’s attention too – he’d never seen a cobra in the wild so that was a first for both of us. The Amber Fort probably looks more spectacular from a distance, and there is nothing much inside, but some beautifully detailed wall paintings survive. And I was rather taken with some of the lamps. In the evening, after another session in the chai shop, Bharat took me to some elephant stables, a high-ceilinged space down a side street supported by large wooden pillars with five elephants ranged around one corner eating sugar cane, and 5kg of chapattis. A few goats live in there as well, and the mahouts sleep on a couple of charpoys. The elephants sleep on soft sand at the side. We sat in the middle and listened to them chewing, rooting around in their fodder and finding a stick occasionally to scratch themselves. Rahul is a fourth-generation Elephant Man. He manages 24 elephants, he rode his own elephant for nine years, then took more managerial role. ‘She loves me,’ he says. He’s been around elephants since he was 3, rode his first one when he was 12. These elephants have been bred in captivity for generations and live longer than wild elephants as they get better, softer food, and their teeth last longer. All female, these elephants are born into the family business, and carry tourists to the fort, working in mornings and afternoons. Its a competitive business and I sense healthy elephants are profitable elephants. The males are only used for breeding. The pachyderms start work at 17 and retire around 55, then live for another 20 years or so in a kind of elephant retirement village. Surprisingly enough, this life suits the elephants in some ways. Wild elephants die at 60 to 70 years of age as their teeth wear out. These ones are groomed every day and ‘educated gently’, with ‘no sticks’ and will live up to a decade longer than elephants in the wild. Read more about elephants here. 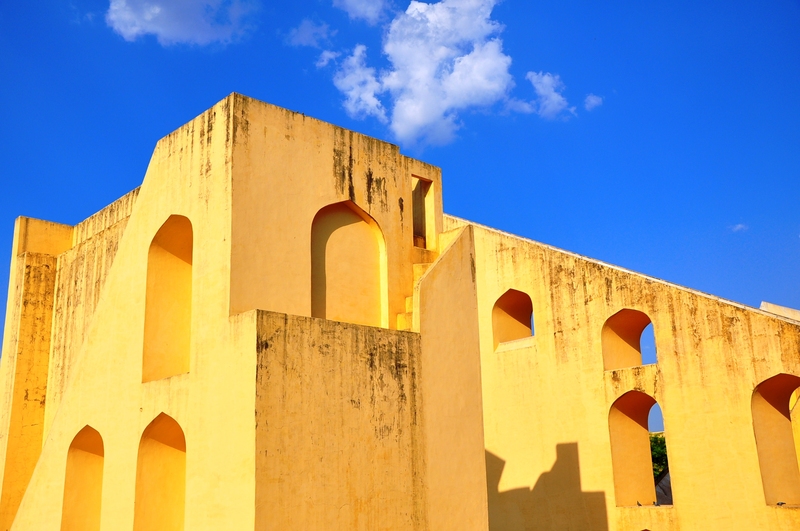 In the city I visited the observatory Jantar Mantar, which was begun in 1728. Its slightly spooky structures made me think surrealist artist De Chirico got together to build some “impossible constructions” with the Dutch graphic artist Escher. 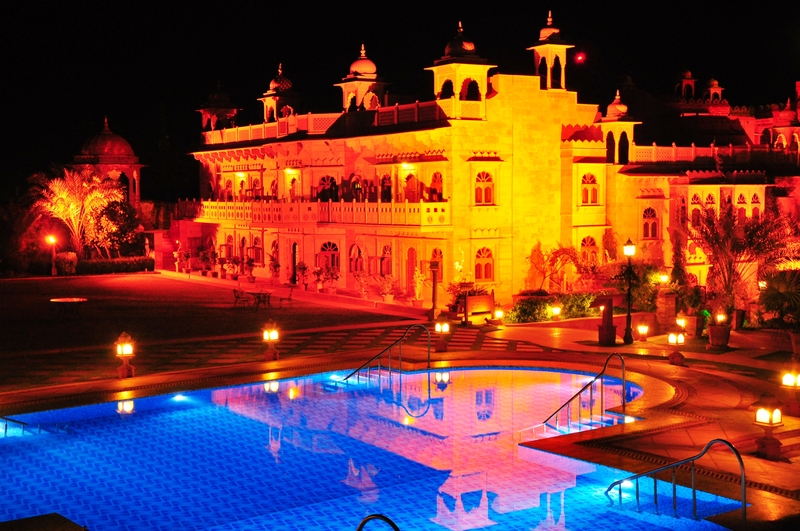 In Rajasthan I stayed in four heritage hotels that were formerly palaces belonging to royal families of the region. In Khimsar I had dinner in the private compound with the man who would have been the current maharaja if those titles hadn’t been abolished in the Seventies. The staff brought snacks on heated platters and a Bloody Mary that I nearly dropped when a huge Labrador jumped on me. Luckily I like enthusiastic dogs. 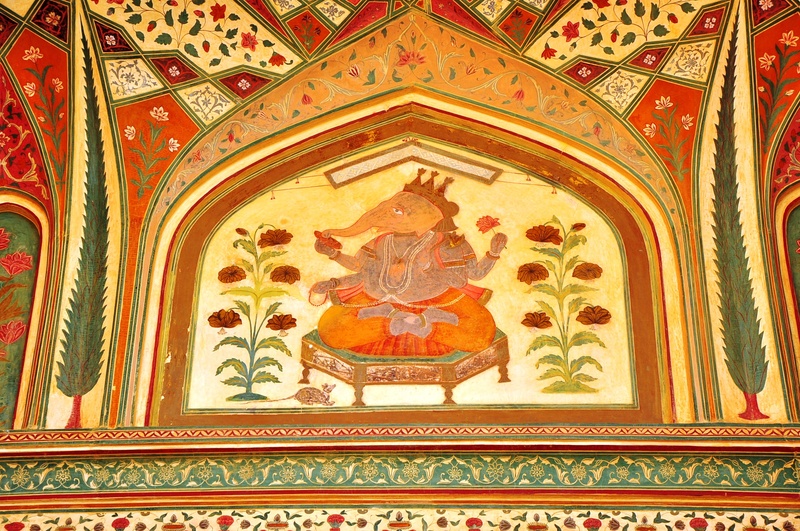 In Bikaner I avoided rodents at the rat temple and made a friend called Man Cow. I spent a lot of time on dusty buses crossing Rajasthan and can report that as you move west across the state, there are fewer cows on the road and a lot more camels. But I made sure I didn’t sit on one. I did a camel safari in Morocco and I learn from my mistakes. The camel cart though is a different matter. Sitting on something a camel is pulling is absolutely fine. Jaisalmer is remote but its “living fort” is impressive, and a pleasant change from all the forts that are now simply museums. After bussing it back to Jodhpur, I needed to return to Delhi and made an excellent decision in going via Pushkar. 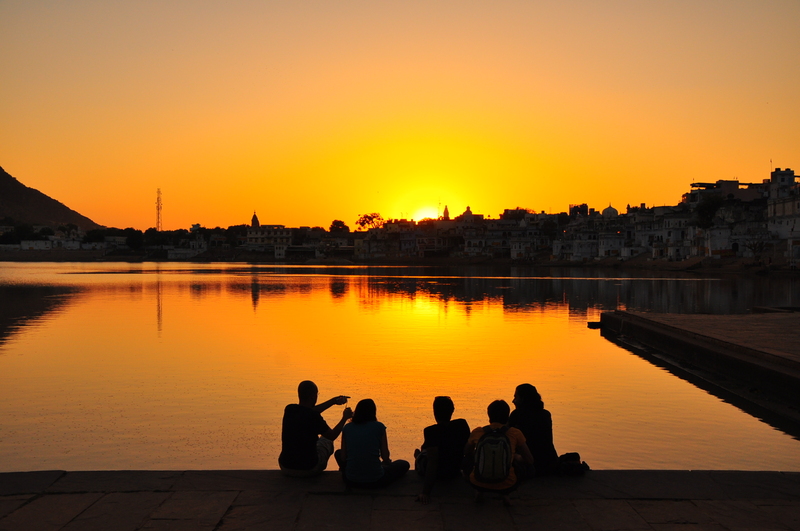 Famous for its camel fair, Pushkar is also a Hindu pilgrimage town with a serene lake and loads of guesthouses and restaurants. 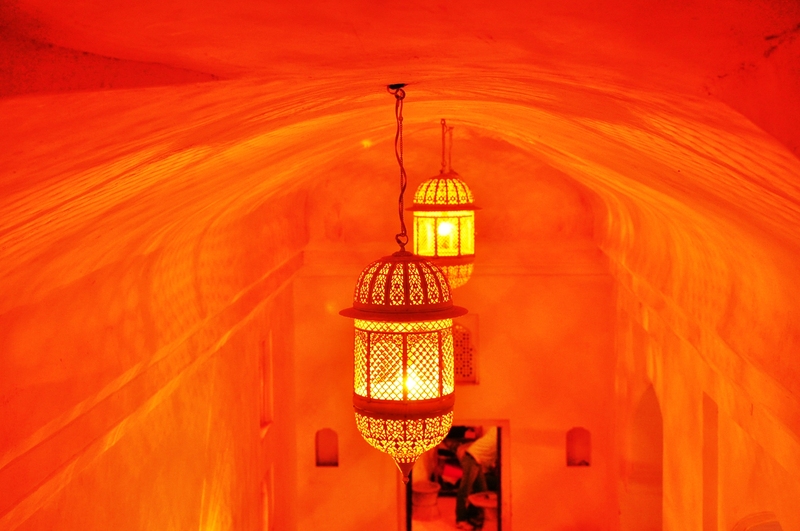 There are also ashrams, yoga centres, shopping and plenty of places to get a decent coffee. In the evening pujas are performed at the lake, which feels a little like the Ganges at Varanasi, but without the crowds or the mess. Gandhi’s ashes were sprinkled at Gandhi Ghat. Pushkar is only 11km from the transport hub of Ajmer, but the trip takes 30 minutes on a bus because the road crosses Snake Mountain. It’s worth the effort to get there though. Then it was a train back to Delhi and the madness of the old city at the station and an alarming if efficient hurtle through traffic and some laneways straight to Nizamuddin West where my friends Anna and Inga live. 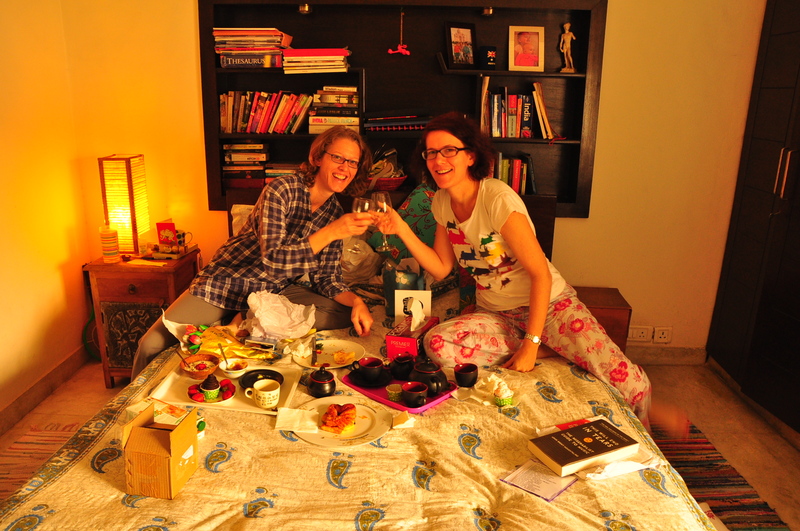 Inga immediately whisked me off to a party for a jazz group at a large house and the Festival of Inga to commemorate her birthday (along with a breakfast in bed, rooftop party and sundowner drinks) commenced. 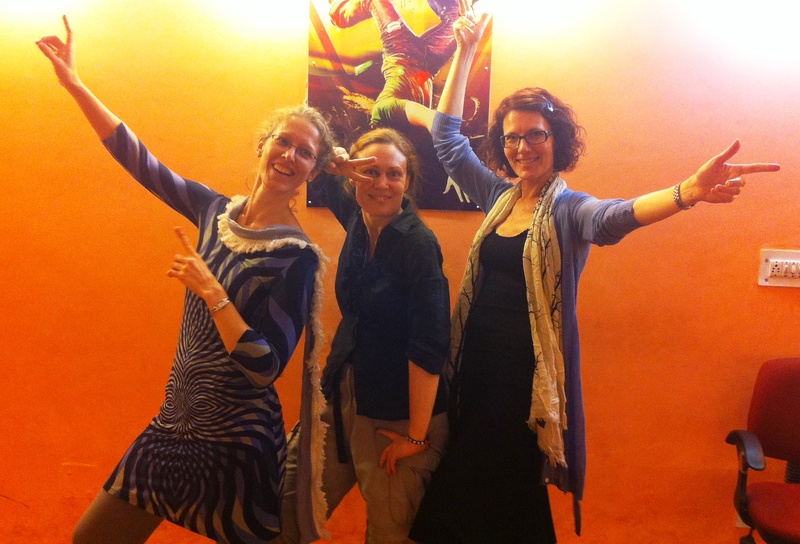 Then it was my birthday, and I was sent for a surprise spa programme – my feet finally looked tidy again – and in the evening we learnt some Punjabi moves at a Bollywood Dancing class. Thank you – it was a memorable birthday. Bollywood birthday: We don’t make a habit of standing around like we are posing for a poster to advertise an amateur production of Mamma Mia, but we are full of post Punjabi-move euphoria.